Russ Norton stacks new fireworks that shoot into the air like “real fireworks” at the TNT tent by Walmart on College Avenue. Those who like to celebrate their independence by lighting up the sky with fireworks will find the opportunity to do so a little more thrilling this year. This is the first Fourth of July that Pennsylvania has allowed the sale of fireworks that shoot up into the sky, and the area's firework tents that spring up around this time every year are seeing brisker business and folks who are excited to have more options. 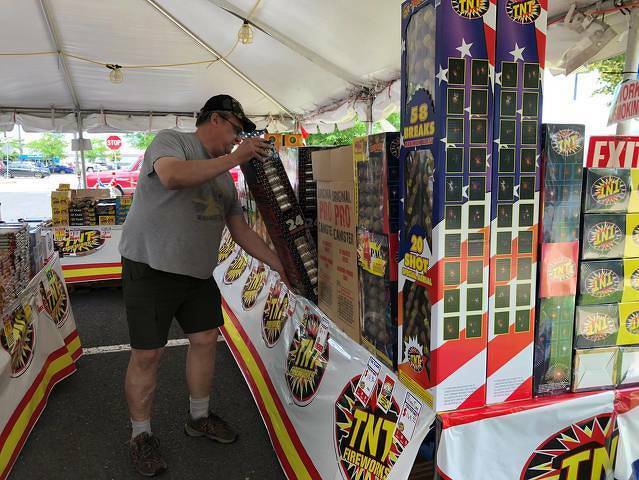 “They shoot up into the sky and light up like real fireworks,” said Russ Norton, working at the TNT stand in the Walmart parking lot on Benner Pike. “People have been coming in excited to get the new things. I think business has been much better than last year. For years, people have been asking for these types of fireworks that shoot out into the air, and now they are here so they are happy. “The new law allows them to get the products they want without having to travel to Ohio or other states, so it is great for that," he added. On Oct. 30, the state replaced the Fireworks Act of 1939 with a new law allowing residents over the age of 18 to purchase Class C, or “consumer-grade,” fireworks. Class C fireworks contain a maximum of 50 milligrams of explosive material. According to the state police website, this includes firecrackers, Roman candles, bottle rockets and similar fireworks. Previously, residents could purchase only novelty fireworks, which included sparklers and fountains. But, the new fireworks come with a price — a tax of up to 12 percent — but that isn’t stopping business at the area's four fireworks tents. Three tents in State College and one in Philipsburg are the only places in the county to buy the shoot-in-the-sky fireworks, but they cannot sell bottle rockets or firecrackers. Fireworks enthusiast looking for those types of fireworks must go to permanent fireworks stores. The closest one to Centre County is in Morrisdale, Clearfield County. ■ Buyers must be over 18 to purchase fireworks. ■ Fireworks can’t be discharged from or toward a building or vehicle. ■ Fireworks users must have permission from the owner of the property where the fireworks are to be discharged. ■ Fireworks can’t be used within 150 feet of an occupied building. ■ Fireworks can’t be used by someone under the influence of alcohol, drugs or controlled substances. Steve Bair, fire director and chief of department for Centre Region Council of Governments, said people need to be careful when using fireworks. ■ Know what the risks are with any particular firework before you use it. (Does it fly? Does it make a lot of flames?) The package will tell you what to expect. ■ If conditions are dry and breezy, think twice before using fireworks, because brush fires move much faster than most people realize. ■ Use the devices in the manner prescribed by the manufacturer, and only in this manner. ■ If you have an errant launch of a firework, investigate it. Be sure you know where it went and be sure it has not, or will, start a fire. ■ Be prepared for things to go bad. Think ahead about what you can do to reduce risk. “Remember that the user of the firework is ultimately responsible for any outcome,” said Bair. Across the street from the TNT tent on Benner Pike in the Nittany Mall parking lot, Alicia Perts is back managing the Phantom Fireworks tent after a break for a few years. She said they are back in the business because of the new law offering new options to customers. “We are glad to offer some competition. It is great that we can sell these new, fun fireworks,” said Perts. Both stands will be open up until the Fourth of July and have plenty of inventory to sell to those looking to make a bang this holiday season. What is it about Republican representatives and the environment? 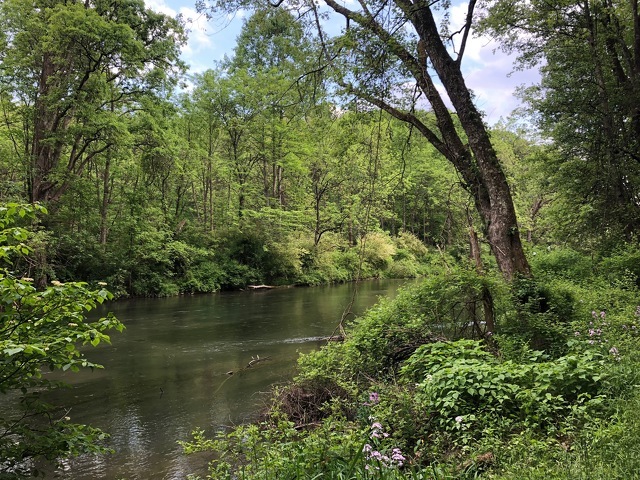 We live in a politically-charged era, but of all things that shouldn’t be political, a healthy environment surely ranks at the top. Young or old, rich or poor, black or white, urban or rural, we all need clean air and water. Our economy and our future depend on it.